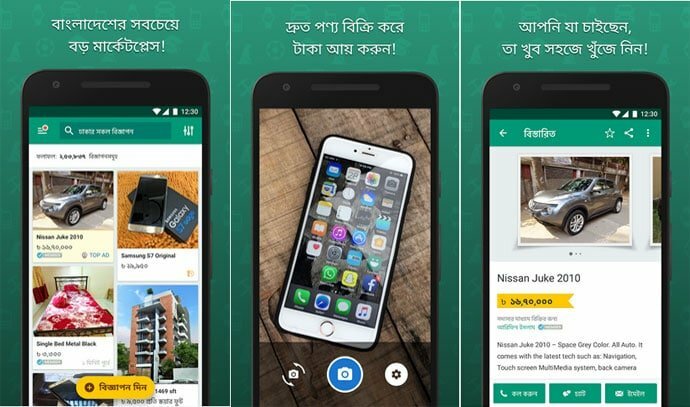 There are more than 350 million people who speak in Bengali, and among them, every single Android user uses some native apps for their various purposes. From the morning to night, there are a lot of things they do in their native language like, reading the newspaper, writing something by smartphones or tablets, and much more. You can find hundreds of Bangla App out there including, Bangla Magazine, News paper, Games, etc. 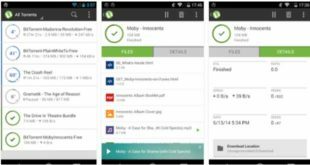 For this reason, we have made a handy list of 10 Best Bangla Apps for Bangladeshi and West Bengali Android Users. Hope you will find this list helpful if you’re from this area. 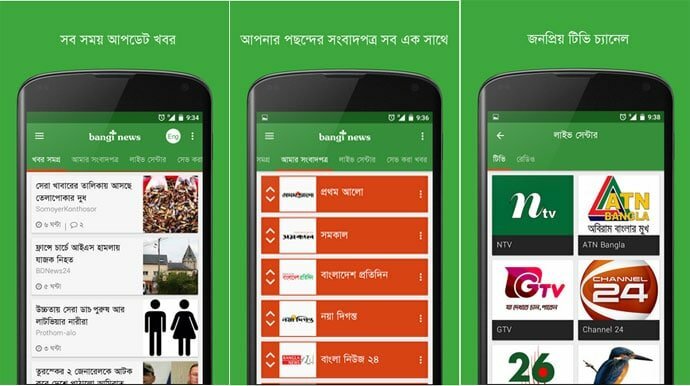 Bangla News & TV is one of the popular Bangla Apps for the Bangladeshi and West Bengal Android users. The app contains 100+ Bangla and English news paper from Bangladesh and West Bengal, Magazines and blogs. 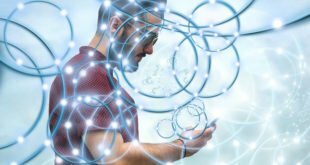 You can also enjoy the popular live TV and Radio channels, audio and video news from reputed news providers. Bangla News & TV also provides day and night reading modes, offline features for offline reading, user-friendly interface, and other advantages. Another interesting feature is that you can publish your thoughts as comments to discuss with others. 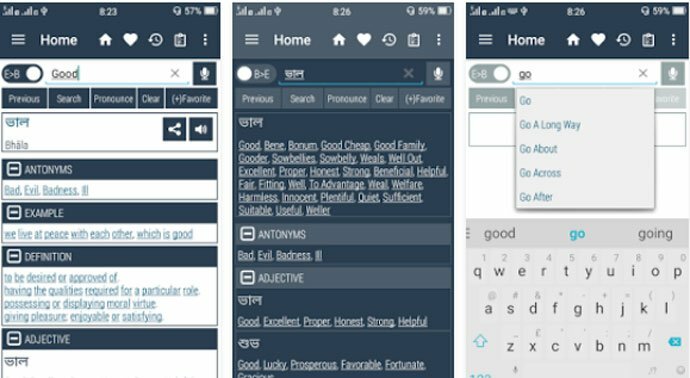 Ridmik Keyboard is a Bangla Phonetic Keyboard app to type Bengali for the Bangladeshi and West Bengal Android users. It’s a great Bangla Keyboard App like your favorite Avro keyboard for Android Smartphone and Tablets. 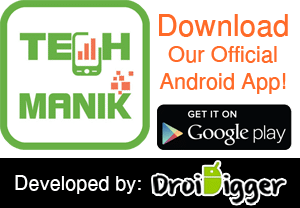 Ridmik Keyboard is a popular app with a huge advantage to typing Bengali. It has two different layouts to a type called by National and Probat. As well as, it also has an English layout to type English using Ridmik Keyboard. You can also have some useful features including, External keyboard support, Bangla and English word prediction for faster type, and nine themes including lollipop theme. Jagobd is another awesome Bangla App to watch Bangla TV channels. The app beautifully designed with a user-friendly interface which makes it easy to use. The user can easily watch TV channels using the app. Jagobd provides channels from many genres including, Bangla TV channel, Islamic TV channel, News channel. It also offers you to read Bangla newspaper, Watching special events, and others. On the other hand, using Jagobd is very easy, because you do not need to sign up, you can play it without having a flash player. Bangla Dictionary is a Bangla Apps for Android from the Innovative-Software. Bangla Dictionary offers you to find Bangla to English and English to Bangla words meaning easily at a time. It will allow you to search word from the browser directly. Bangla Dictionary is not only a dictionary, but you can also use it as a learning tool even without having a data connection. It also has an auto suggestion, pronounces & voice search, antonyms & synonyms suggestion, backup & restore, and history & study plan. So, it’s a full-featured Bangla Dictionary apps for Bangla apps user. Bdjobs is one of the best and fast leading career management portal in Bangladesh. 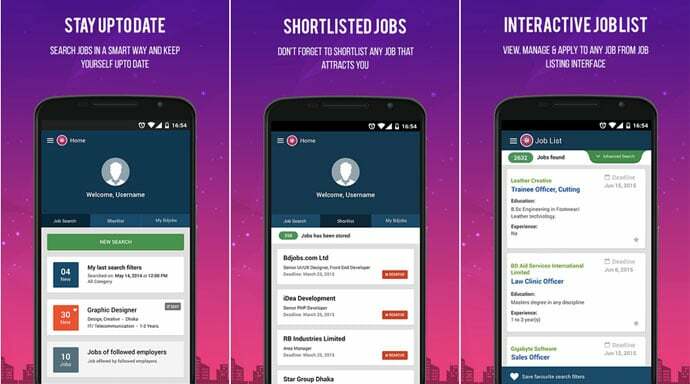 You can easily find your desired job with the help of this app. Bdjobs update their site regularly and there more than 10000 employers have recruited about 3.5 million professionals through the bdjobs.com. The app provides tons of functions including, instant notification for a new job, favorite filters to save preferred search filters, shortcut list for your desired job, online resume submission and easy editing system, and much more. So, the user can stay up-to-date about their desired job in a smart way. Bikroy.com is one of the largest classifieds market places of Bangladesh. Where people can buy and sell their products and Bikroy is the official apps for the site to get easy access using Android phones and tablets. So, anybody can sell their used or new products through the app. 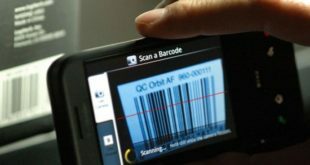 The app has tons facilities for its user including, browse ability for products from all over the country, search by category, direct connect with the seller, promote option for products ads, data saving mode, and others. At the same time, the app also can be used for finding a job from the job section. 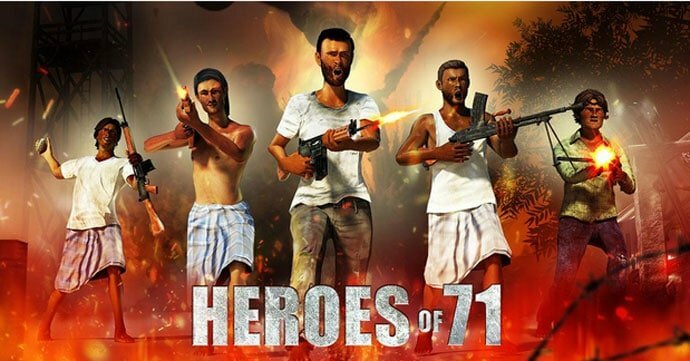 Heroes of 71 is one of the popular games to Bangladeshi Android users. The games based on the freedom fight of Bangladesh. The maker of this apps tried to recreate the struggle of the freedom fighters, who have fought for their country. The games start with a mission, where you can fight to defend your side till the end. As a Bangladeshi, you can enjoy the games and can feel the heroism in you. This one is another popular Bangla App for the Bengali people from Bangladesh and West Bengal to teach Bangla Alphabet to their children. The app is a complete package for the kids to learn Bangla Alphabet. The app will guide a kid to learn Bangla Alphabet easily with its rich features. It has a sound mode with correct pronunciation. So that, the learner can easily catch the right letter with picture and sound. At the same time, the user can learn words with spelling and can practice handwritings with the finger. Sheiboi is a free eBook reader app for Bengali readers who love to read Bengali Story, Novel, Poem, etc. Sheiboi is especially for the book lover, who wants to read books using their Android phones and tablets. 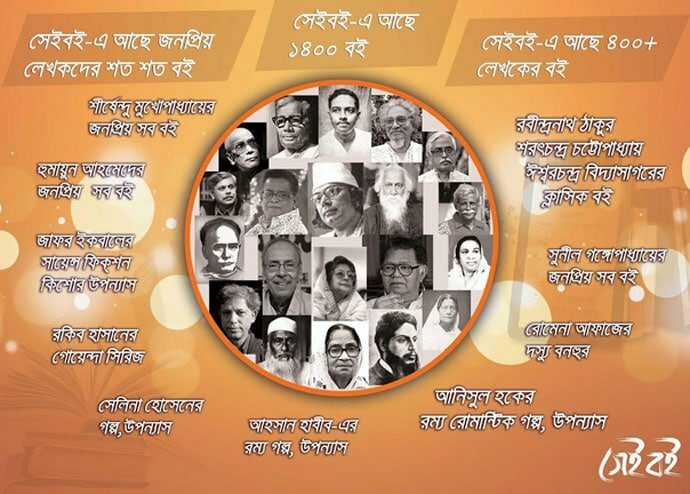 Sheiboi offers a wide range collection of Bangla books. The user can download free books and can buy paid books from the Bengali book store (Sheiboi.com). It will give its user a perfect reading experience with personalized options like adjust font size and color, background colors and brightness, etc. On the other hand, the reader can create bookmarks, notes, and highlights in the book. It also has resume reading, auto sync for multiple devices, and other features. Prothom Alo is one the largest Bangla newspaper of Bangladesh. The app contains news from 64 districts including, Dhaka (capital of Bangladesh), Chittagong(port city). The reader can read local and international news in Bengali. It also has news and photos from almost every field like politics, sports, business, entertainment, and lifestyle. The reader can also share news and photos via the social networking sites. At the same time, they can share their thoughts with other readers in the comment section. 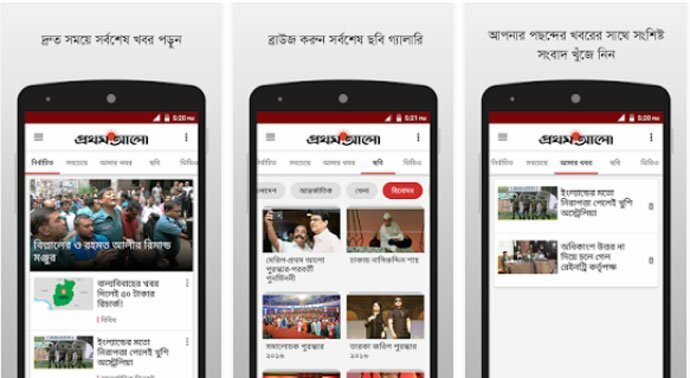 Bangla Apps are one of the great sources of news, entertainment, learning tools, and others for Bengali Android users. There is a different type of apps in the list. So that, you can find a variety to choose important apps for you. Entertainment or News, Games or Books, you can enjoy in your native language.